At Alpha Omega Audio located in Madeira Beach, Florida, we offer affordable AV installation, repair, and rental for any application or need. We are proud to offer you the latest AV technology for your home or business, and our expert team provides affordable service and repair for all types of equipment. Contact us today to learn more about our services, or to request an appointment. From houses of worship to commercial and home theater projects, no installation is too large or too small. Renovations are also offered to bring your facility up-to-date and provide the quality audio you deserve. As a dealer with some of the nation's top audio companies, you are guaranteed the lowest prices on the brands you trust. Your audio/staging needs are met at any level of production ranging from state-of-the-art equipment for concerts and cooperate presentations, to more private events such as wedding and parties. 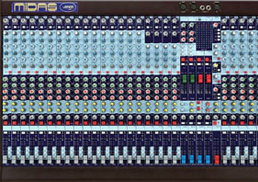 No matter what the event or occasion, Alpha Omega Audio provides an extensive selection of quality gear that you can rent for an affordable cost. In addition, our highly experienced engineers are available to operate your equipment upon request. You have too much pressure and too much to lose to trust your event to just any company. Alpha Omega Audio uses only the most talented technicians. Our promise to you is "we'll make it happen!" and our goal is to put your mind at ease. Contact us for more information regarding our audiovisual equipment and services.